In the mythology of ancient Greece, Hermes was the god of boundaries and transitions, with the ability to move between the mortal and divine worlds. 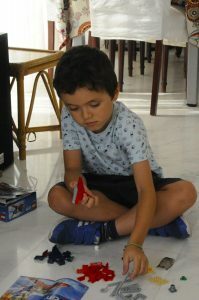 In modern-day Athens, Hermes Christos Athanasiou Gill is a cheerful, trilingual 7-year-old who likes math and enjoys playing Minecraft, a video game. 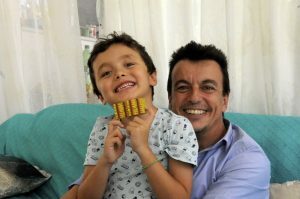 He also has Duchenne muscular dystrophy, a reality his parents — financial consultant Dimitrios Athanasiou and business journalist Omaira Gill — have struggled with ever since their boy’s diagnosis at 13 months of age. Gill said that’s because her son’s creatine kinase (CK) concentration, a blood measurement whose normal range is 39 to 308 units per liter, exceeded 20,000 — a telltale sign of Duchenne. 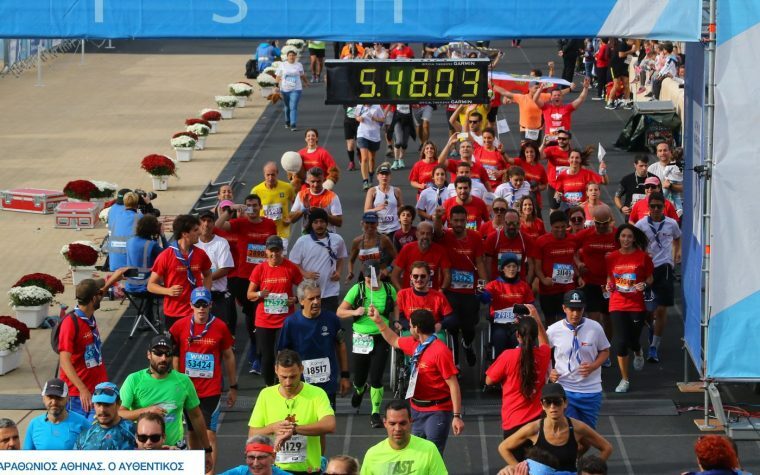 Hermes’ diagnosis also converted Athanasiou from a successful consultant specializing in finance and business development into a Duchenne advocate at MDA Hellas — a Greek nonprofit organization that helps patients with neuromuscular diseases. He’s also on the board of the World Duchenne Organization and a member of the London-based European Medicines Agency’s pediatric committee. At home, Hermes spends his days playing with his friends and his younger brother. Besides Greek, he speaks English and Urdu — the native language of his Pakistani mother — as well as a smattering of French and Italian. Twice a week, Hermes has 30-minute hydrotherapy sessions; also on his schedule are daily stretching exercises — for now, he’s kept away from computers and the internet. Hermes playing with Lego toys. Gill’s aim is to give both her sons as normal a life as possible. “We have a diet that excludes salt and sugar for Hermes. I make cakes with honey,” she said. Hermes currently takes prednisolone and vitamin D, but nothing specifically for Duchenne. Gill said her son knows he has muscular dystrophy, and that he’s gradually connecting the dots. According to studies Athanasiou has helped to conduct, each Duchenne patient costs the Greek healthcare system nearly €500,000 a year (about $585,000), since national health insurance covers all hospitalization, as well as outpatient care and all necessary therapies. From a strictly business point of view, he said, Duchenne interests pharmaceutical companies because they know it’s a profitable disease. Thanks to new therapies and better care, boys with Duchenne are now living into their late 20s, early 30s, and beyond. In six countries alone — the U.S., France, Germany, Italy, Spain and the U.K. — the market for Duchenne therapies will reach a combined $1 billion in 2019, said Anathasiou, speaking at the recent 9th European Conference on Rare Diseases & Orphan Products in Vienna. That’s up from $8.2 million in 2014, representing a compound annual growth rate of 160.5 percent. 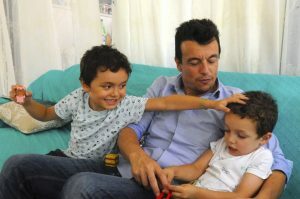 Dimitrios and Hermes Athanasiou at home. While this represents a bonanza for pharma companies, it also puts a burden on taxpayers who ultimately have to foot the bill for the families of children with the disease. That creates an even bigger need for effective therapies that cure the disease and minimize the burden to national health systems. “If Duchenne boys now live 20 to 30 years, then the amount the health system has to invest in them is a lot more than when they lived to only one and a half years,” Athanasiou said. 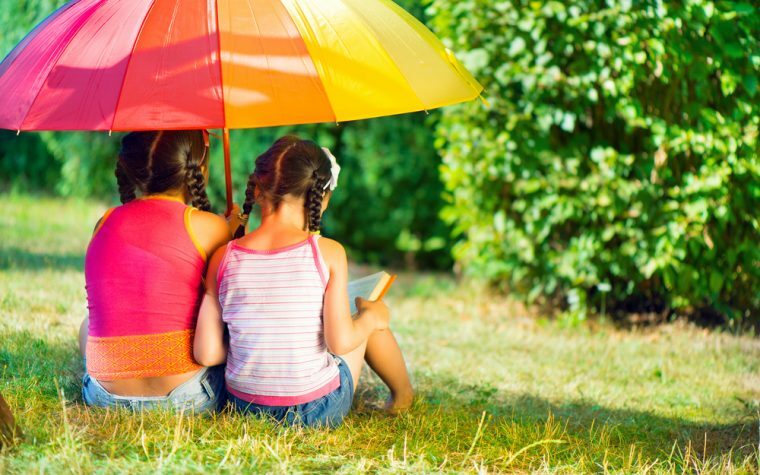 “The older you get in Duchenne, the more things you need. As the well-educated Duchenne community expands its influence in the global rare disease space, it’s also beginning to have more of a meaningful say in the design of clinical trials, both in the U.S. and Europe. Meanwhile, Gill said she and her husband are planning a third child. As with Hector, she will have a prenatal screening at three months. Given that she’s not a carrier, her chances of giving birth to a second boy with Duchenne are quite small — she just wants to be on the safe side. She’ll also never stop hoping for a cure. Tagged Dimitrios Athanasiou, Duchenne muscular dystrophy, Greece, healthcare costs, MDA Hellas. I have been reading material available on MD, and everywhere I read that the mother is the carrier of the defective gene which causes MD. But in the above article it appears that the mother is not the “carrier” and still her son has MD. Any thoughts on this?